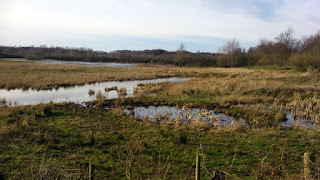 The weather forecast for the weekend was sunny on Saturday and wet on Sunday so the birdwatching trip to the RSPB reserve at Baron's Haugh in Motherwell was arranged for Saturday. 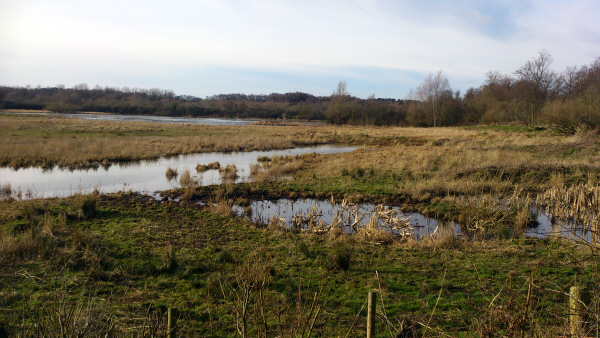 Baron's Haugh (the word 'haugh' means flooded meadow) is my local nature reserve and is home to a wide variety of birds including ducks, waders, swans, geese and other water birds. It was a bit frosty and the Haugh was iced over in some places. With me I had my Zeiss Victory spotting scope which I use with a bean bag to save me having to carry a tripod. I have to walk to the Haugh and back, which is a round trip of 8 miles so I try to carry as little as possible. I was going to use my scope and use the camera on my mobile phone to take some photographs of the birds, as they are generally quite far away from the hides. The phone I used was a Sony Xperia S which worked quite well. I will be getting an attachment to enable me to use my SLR camera in the near future, so I can take better photographs of the birds. As it was cold, I wore plenty of clothes as it is always quite chilly at the Haugh. On the way to the first hide we were fortunate to see one Redwing, two Mistle thrushes and one Fieldfare in a field. They were quite close to the walkway and we got excellent views of them through our binoculars. Further along we managed to observe three Nuthatch in the trees. 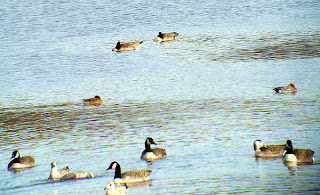 Out on the Haugh the usual birds were in attendance including Mallard ducks, Tufted ducks, Heron, Whooper swans, Canada geese, Moorhen, Gadwall, Greylag geese and various Gulls. 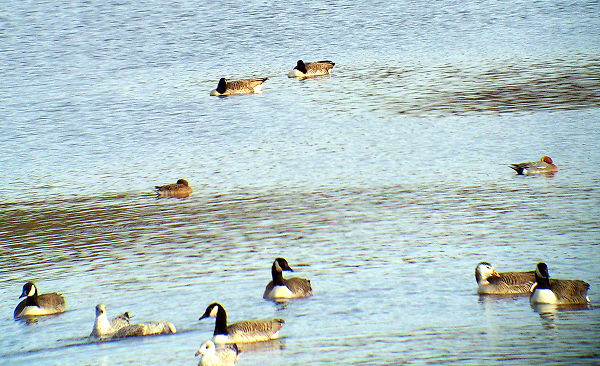 There was a large flock of Canada geese which are winter visitors to Scotland. They will return in March to Scandinavia for breeding in the long summer months. 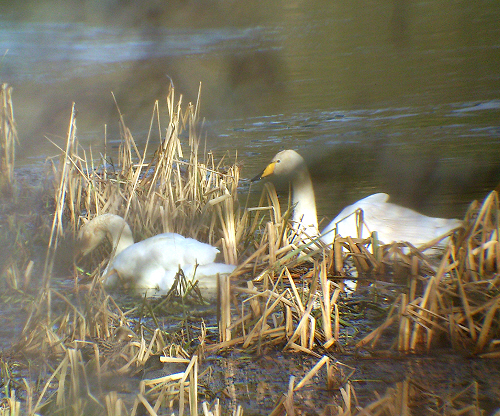 Two Whooper swans were near the water's edge and were obscured by the reeds. The photograph above shows the swans seen through the reeds. 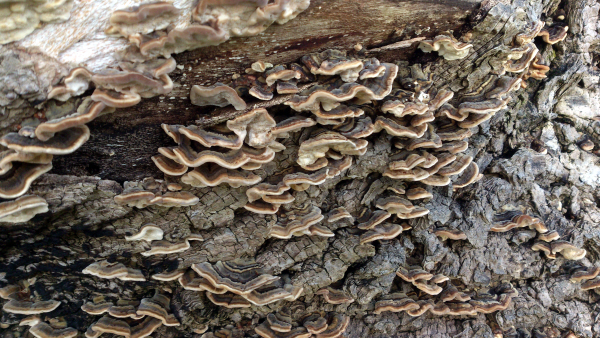 On the way home some fungi was seen on a dead tree. 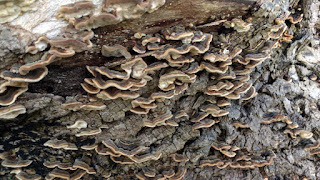 The area around Baron's Haugh is excellent for observing fungi. 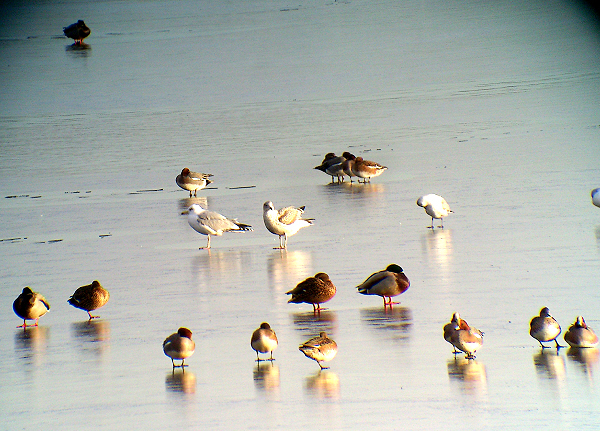 The day out was very enjoyable and the photographs taken through my scope with the camera phone turned out quite well. It enabled me to get record shots of the birds which were too far away to take with a normal camera.